Italian immigrants to the United States and Argentina hungered for the products of home: Merchants imported Italian cheese, wine, olive oil, and other commodities to meet the demand. As a result, migrant marketplaces came into being—urban spaces linking a mobile people with mobile goods. 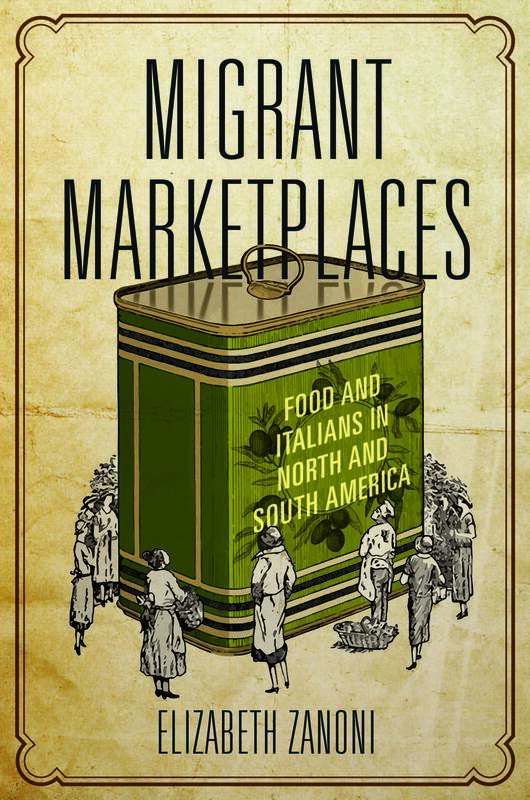 Elizabeth Zanoni’s Migrant Marketplaces (University of Illinois Press, 2018) provides a comparative look at Italian people and products on the move between 1880 and 1940. Concentrating on the Italian food trade, largely through New York and Buenos Aires, the book reveals how these imports affected consumer habits and identities as well as connections between nationality, ethnicity, and gender. Women, who did most of the food buying and preparation, had particularly complex interactions in this societal arena that influenced both global trade and their community economies.